Most of us want to download free theme from the web that are available on various WordPress theme websites. There are so many other websites which also contains premium themes to download for free of cost hosted on various file hosting websites. So we can also enjoy premium themes without spending a penny. But there is a dark site of these free pemium themes. There is a possibilty that the downloaded theme contains encrypted code or outbound link to some poor quality website. Generally these kind of links are added at the footer of the theme. Now we can assume how dangerous is this for our website if we use these themes. These kind of WordPress themes can be cause of Google Penguin hit to our website due to these outgoing links. This is the reason why me and other blogger always recommend using a genuin theme from popular and trusted theme source. For example ThemeForest. You can also buy Genesis and thesis framework and stop searching for free version of these premium themes. Although we can check for these kind of links easily if we know coding. But what to do if we do not how to edit php themes code to remove these poor quality outgoing links? Here I am listing both manual and automatic ways to remove these kind of links from the wordpress themes. If you have found some backlinks that are of poor quality or not should be there, you can use these ways to remove those links. Note: If you are using a free theme developed by a genuin developer. I will recommend not to delete the link of developer’s website. It will help that developer to grow. Use this way, only if you are using some nulled version of theme and links are going to some malicious websites. Now navigate to Appearance –> Editor Editor. If links are added manually without any encoding, you can remove it easily if you know HTML. If there is any encoded, the code usually starts with “base”-something along with a long string of alphanumerics in the brackets. Now open your website in new tab and open the source code of the website in browser. Since now the encrypted code is rendered on the page. You can easily get the code. Copy the entire code and paste it on your footer code on the place of that encoding. Now check where the website is working on not after making these changes. Note: Be sure to take the backup of your theme if you have selected to edit the code manually. 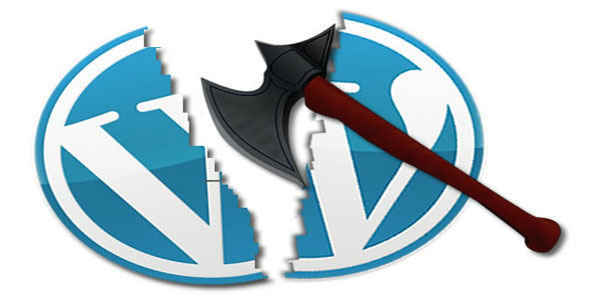 If you are afraid of editing the code of your WordPress theme, you can use a WordPress Plugin for this. TAC (Theme Authenticity Checker) is a nice WordPress Plugin that automatically detects if the theme contains any kind of outgoing link or encoded code. Install TAC (Theme Authenticity Checker) Plugin on your WordPress blog. Then go to Appearance –> TAC. Here You will see list of all themes you have ever used in this blog along with the report for that theme. If encode code is found, TAC displays the path to the theme file, the line number, and a small snippet of the suspect code. If there is any outgoing link, it also display the code of that link. Now follow the same way to edit the theme code as written in manual way. But this time you clearly know what to remove from the theme. I think it was simple. If you have any kind of problem in removing these kinf links appeared in your blog? you can contact us or comment below.